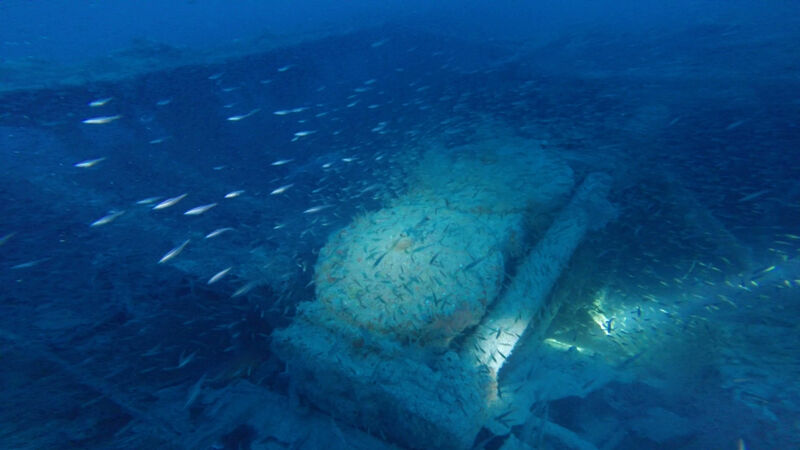 In early February 2018 a Red Sea Explorers dive team discovered a new steamship wreck in the Straits of Gubal about three miles north of the island. After some research and sharing information with local divers and shipwreck enthusiasts, we believe that the wreckage is that of the Brazilian warship SC Almirante Barroso. She was a three masted tall ship with square sails that was circumnavigating the globe at the end of the 19th century. She was lost at sea in 1893 after hitting rocks in the Al Zeit area. 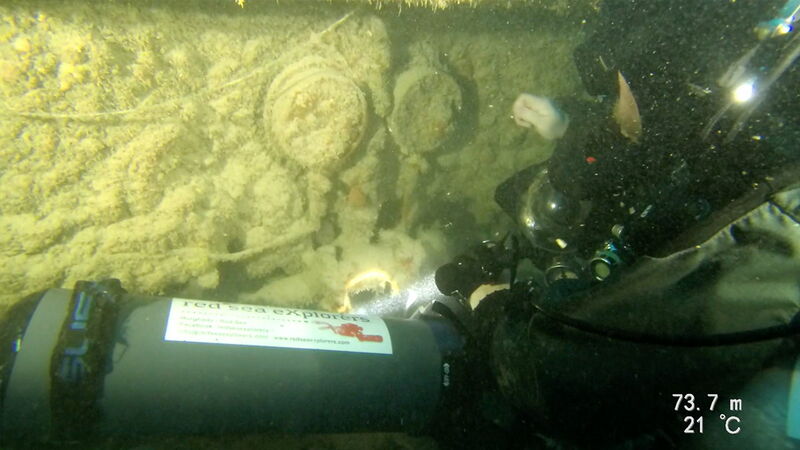 None of the items found on the wreck thus far provide 100% identification. However the size, location and different characteristics of the wreck make us quite certain of its identity. For example, there is damage to the hull where the rigging use to connect. Items such as pulleys and blocks used in sailing rigs are further evidence that she is a tall ship. The question as to where the superstructure has gone is answered by the fact that this is a sailing ship and there was limited or no superstructure. The missing parts were likely made of wood that has since disintegrated. Between the items on the wreck or around it in the debris field, we believe that the wreck is complete. Our mission now is to continue to document and catalogue all the parts of the shipwreck in order to conserve it for further research. Using different technologies such as photogrammetry and video documentation, we aim to keep a thorough record of the order and manner that parts were discovered. We will also search for items that might be buried in and around the wreck. This is a long term project and lots of dives will be conducted on the shipwreck as part of the Wreck Exploration Project. 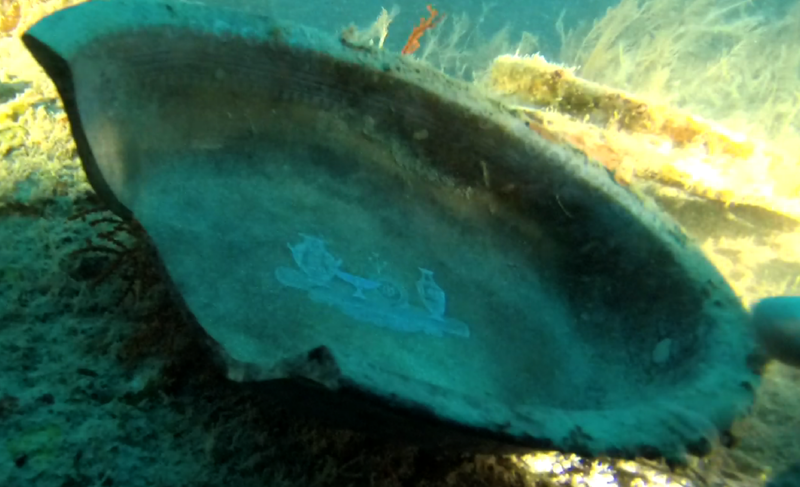 This wreck is one of four that have been found and explored by Red Sea Explorers in this year alone. We have a multitude of other locations to dive as part the Wreck Exploration Project in the coming months and years to come. 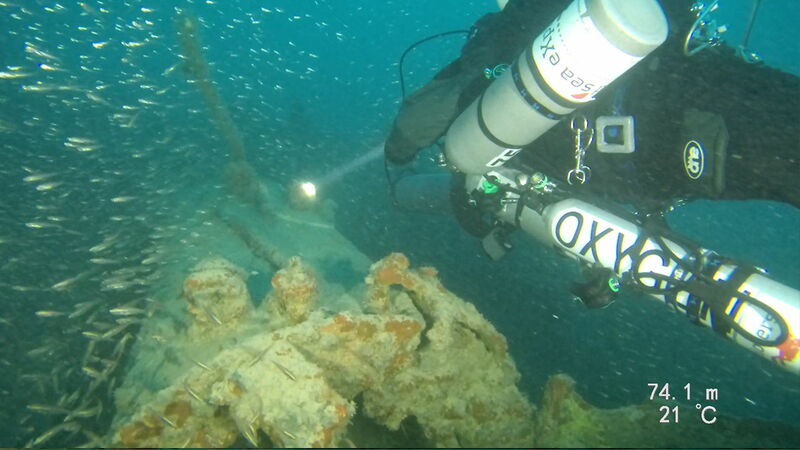 Contact us if you are interested in a Wreck Exploration trip. You can read the reports of previous dives bellow. Red Sea Explorers teamed up with Ursuit Explorer Mattias Vendlegård and returned to the mystery steamship-wreck for two more attempts at discovering her identity. After the initial survey revealed the presence of a double-expansion steam engine, we began researching steam-sailing ships that travelled the Red Sea in the late 1800s to the early 1900s with this type of engine. Unfortunately, nothing surfaced. A follow-up dive was necessary, so we partnered with a dive team from Sweden who had heard about the discovery and was very excited to lend a hand. We set the mission of finding other identifying marks or items to assist in the search for her identity. This time things went much smoother logistically, but the surface currents, at 3 knots due to the narrowing of the strait, will always need to be managed. 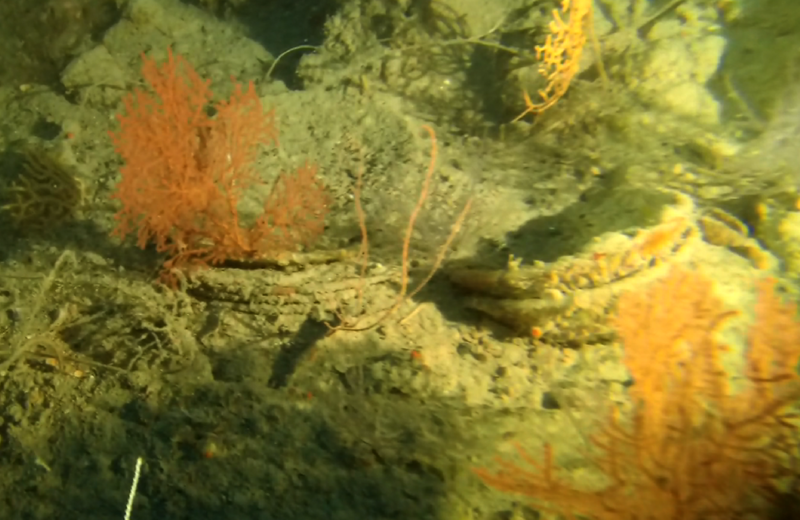 Beginning at the bow, we noticed the anchors on the sea floor without their chains attached. The anchors hadn’t been dropped and from more than 150 years of swinging lifelessly from their chains, their metal rings wore through. This led us to conclude that the ship was under way when she went down. On the forepeak we searched for the bell, as it would have the name of the ship engraved into it. We found something that could have been it, but our excitement was short-lived. From there we moved on to inspecting amidships to the stern area, where the boiler and the double expansion steam engine is located. We wanted to focus there because in the absence of the bell, identifying the engine would be a big help in identifying the ship. On the engine we found the plate with all the engine data, however due to the extent of fouling and the thick layer of sea life that covers the metal, it was impossible to reveal it with the equipment we had within the bottom-time allowed. So, we travelled on to the stern area behind the engine, where it was common for ships of this time to have the captain’s quarters. This ship was no exception, as there we were thrilled to find plates, bowls and various other potteries. The plates had an Etruscan design, made of porcelain with an intricate lavender motif. Luckily the name of the producer was still visible – LE&S. Through our research we found out that these initials stand for Liddle Eliot and Son, which produced vases from 1861 – 1869. We now have our first piece of definitive evidence that the ship could not have sailed before 1861! Of course we don’t know when the plates were purchased, but a ship of this stature might have had them specially commissioned. The next day, we returned with the same team for a second attempt, but again we had no success clearing the engine plate. We are planning follow-up surveys to record her dimensions and to descend with pneumatic equipment to finally clear the engine plate. 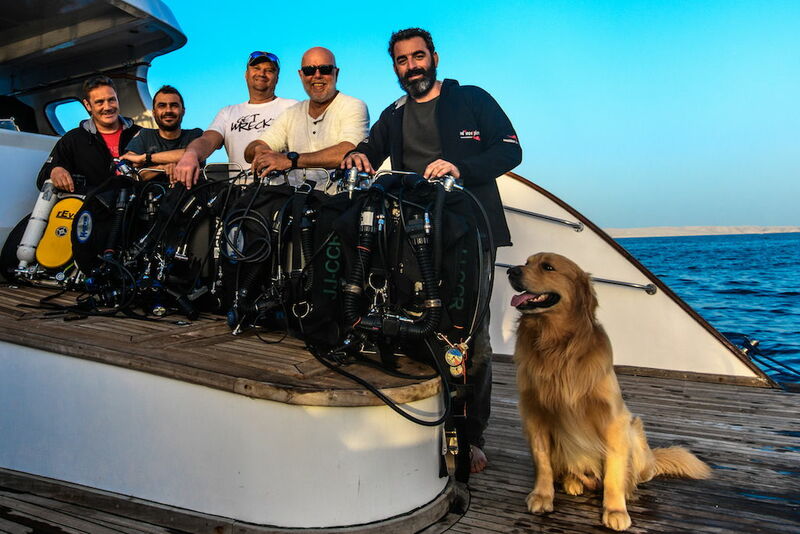 Using a combination of advanced diving technology and old trusty wreck finding methods, a team from Red Sea Explorers successfully discovered a virgin shipwreck in the strait of Gubal on February 25th 2018. Without a doubt the Egyptian Red Sea is one of the most dived oceans in the world. You would think by now that all its secrets were revealed and that all areas are fully explored. On the other hand, the Red Sea is one of the busiest sailing passages in the world, so it is no wonder that a lot of ships have ended up on the bottom in the Strait of Gubal since the inauguration of the Suez Canal in 1869. 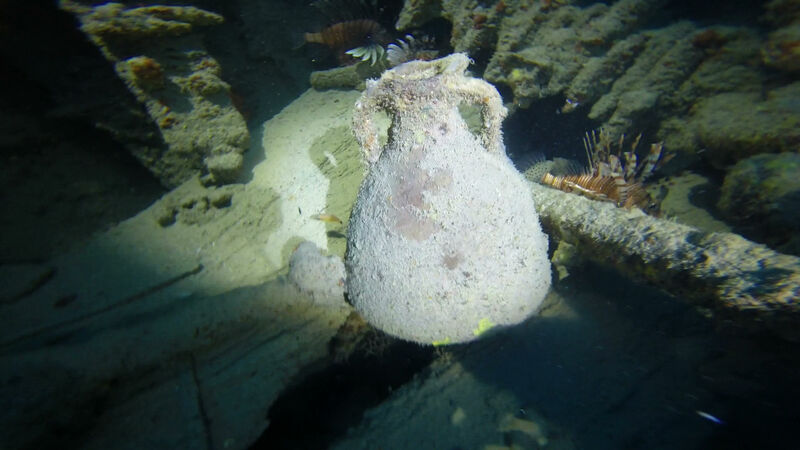 However most of the lost vessels lie in depths outside the range of recreational diving and it takes a lot of dedication and effort to find them. Finding new wrecks in the Red Sea is therefore a rare occurrence. 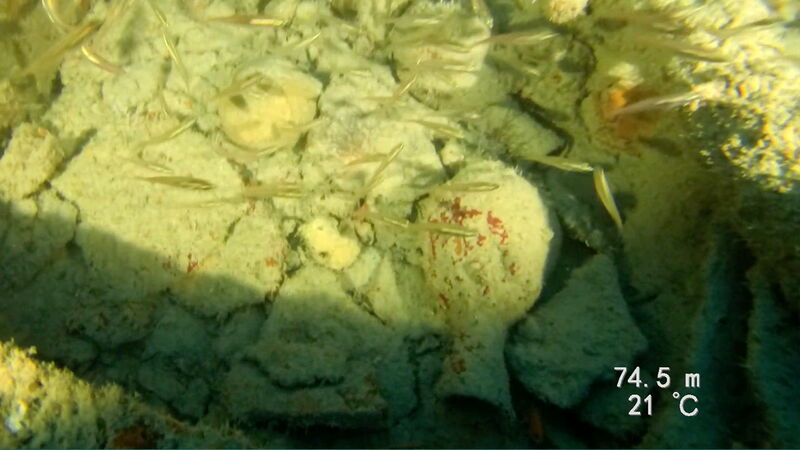 With the help of a local fisherman, the Red Sea Explorers team had a promising position to investigate. A special week of exploration was planned with a team of divers capable of doing extended range diving in open water with strong currents and rough surface conditions. The fact that many of the positions were in one of the busiest sailing lanes in the Red Sea only added to the challenge. The fisherman had a very solid knowledge of the position and could describe details of the wreck on the basis of the pieces of debris pulled up by his angling tools. The first attempt to reach the wreck was aborted because the current on the bottom made it impossible. After 20 minutes scootering on full throttle against a ripping current while following a line on 65 meters, the team had to give up. But the sonar image on the support vessel, MV Nouran one of the liveaboards in the Red Sea Explorers fleet, was so tempting and alluring that it was decided to make another attempt later the same day hoping that the current would have lessened and conditions improved. 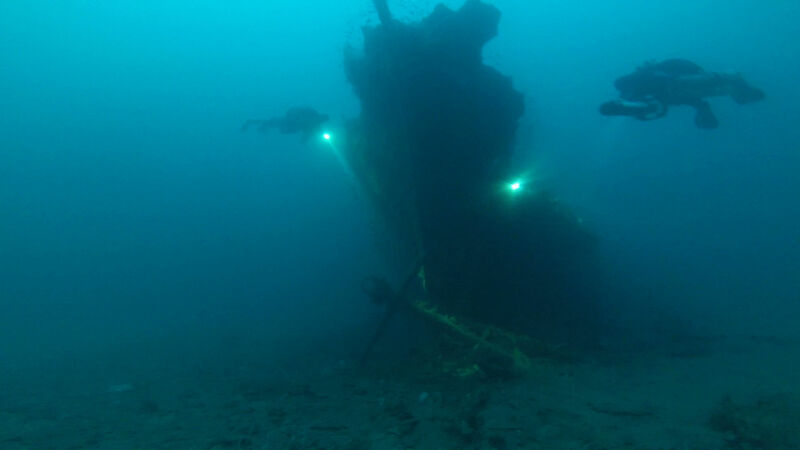 Imagine the thrill the team experienced when they reached the bottom on 77 meters and discovered that the shot line was just a few meters away from a structure that turned out to be the wreck of a large steam ship. So far, the wreck has not been identified. We know it is a steam ship, probably late 1800. It appears younger than the Carnatic and the Ulysses, but she is probably older than the Dunraven, judging by the size of the boiler. The tidal current that rips on the bottom of the relatively shallow strait of Gubal has taken its toll on the wreck and everything taller than 5-6 meters has collapsed. The super structure and decks are gone, but the hull and bow are still standing proud. The team were looking for details to help the identification but found no smoking guns. Now it is up to the historians and wreck experts to dive into the archives and see if they can find a match based on the information gathered by the team. The marine life on the wreck is spectacular. 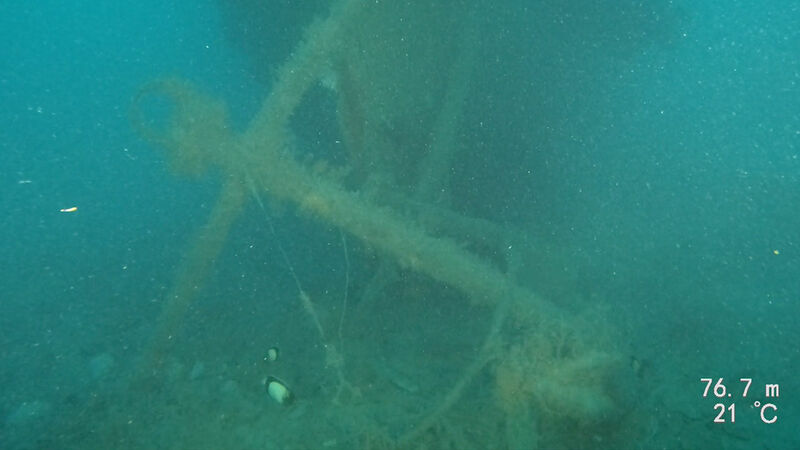 There is very little protection against the strong current on the sandy bottom around the site, so the wreck offers shelter that makes the marine life thrive. The hull is filled with glass fish chaperoned by enormous groupers and lion fish. Large giant trevallies are roaming the area and they are visible on the sonar. No wonder the area is an attractive fishing ground. The international explorers team consisted of Faisal Khalaf (Lebanon), Jesper Kjøller (Denmark), Sameh Sokar (Egypt), Igor Siryk (Ukraine), Michel Salsmans (Belgium) and Antar (Expedition Dog). Location: North of Gobal Island, West of the Traffic Separation Scheme in the Northern Red Sea at the mouth of the Gulf of Suez. Dimensions: Length approx. 70-90 meters; beam approx. 10 - 15 meters wide. Very Difficult/Advanced. Hypoxic Trimix Dive. Expect difficulty hooking the wreck due the current small size of the wreck. The wreck itself is covered with glassfish.Giant trevally followed the divers around the wreck. The rich murky water makes it an excellent feeding and breeding ground.